In this article GoldenMuscles will try to answers the most frequently asked questions. Huge legs – it’s great! Well, thin legs – shame! Legs are considered to be “difficult” muscle group. If in cases of chest and back is simple – load to the maximum, up to crack in the bones, the legs – a delicate subject. Athletes have a lot of issues. Do they need to split training into two days: first day – quadriceps, second day – hamstrings? What are the priorities? More weight or more reps? Extension – is this a serious exercise or not? And so on. As you know, the practice is the criterion of truth. So the answers to all these questions and many more are formed taking into considerations training advices of well known bodybuilders – Nasser El Sonbaty, Beth Horn and amateur champion Pete Ciccone. GoldenMuscles ensure that their tips are very expensive – in the sense that in a couple of months you will have to heavily invest in your wardrobe, what is below the belt. Because legs are very large muscle group, then it seems to need some special “depth” workout. Is this true? Horne: I usually train for about five minutes on the stepper, after which proceed to stretching exercise. This dramatically increases blood flow to the legs. Sometimes instead of warm-up exercise I do 15-20 squats with low weight. Ciccone: I am warming-up at least 15 minutes on the treadmill running and then turn to the stretching exercise. I think that legs stretching exercise is a fundamental part of the workout for people who walks a little and the whole day are doing sedentary work. After stretching, I additionally do extension and flexion of the legs – three sets of 20 repetitions each. El Sonbaty: My workout consists in 2-3 sets of 15 reps each of Leg Curl Lying. Then in the same way i do leg extensions. In fact, before serious training you need to “pump” into the muscle more blood – that’s the rule. Squat Technique without spine injury! You have spine pain a couple of days after squats training program or performing hard sets, you almost do not feel legs muscles buildup, because most of the load falls on the buttocks and lower spine, than this article will be useful for you. Proper Squat Technique is the key of solving this problem, which is often avoided by advanced athletes and beginners, who consider unnecessary to spend time learning to do squats properly. We are taught that we should keep head high and back as straight as possible, when moving from a deep squat not to lean forward. This ensures that many athletes will have a huge load on the lower back and spine rectifiers. Thus, when leaning in squat peoples natural tendency is to lean forward. Everything is very simple: the body responds to load, as it is more convenient. After this, rising up, we suddenly remember that the back should be straight. At each repeats (back and forth) spine curvatures quite strong influence on bottom part of back. As a result, you have to do an exercise similar to the semi-lean forward with a barbell on your shoulders and semi-squats. With heavy weight is more difficult to do exercise engage in right way, because the head is often dropped, but at the same time, the pelvis is lifted which imposes a huge load on the buttocks muscles. 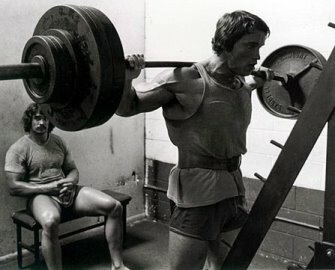 Many bodybuilders exclude squats from its training in order not to develop too much buttocks muscle. But if you correctly perform the squat, it is possible to achieve the correct shape of hips, buttocks with no excess in developing. From the beginning, you have to tune. Bend spine before squats. Do not round it. Do not look down at time you are getting the bar behind your back because your back will be slightly and neither looks up because your neck will start to strain. Look straight ahead and make sure that your shoulders are square. Read moreSquat Technique without spine injury! Hi Bros, I’m glad to inform you that our Legit Sponsor DaddyRodis.Com refill its stock with a huge selection of products by such labs as Dragon Pharma, Balkan Pharmaceuticals, Gen-Shi Laboratories and many more, including new High Quality Brand Kalpa Pharmaceuticals. If you are interested please do not hesitate to visit IronDaddy.ws . Also for … Read moreIronDaddy.ws Restock !!! November 12, 2011 is going to be a considerable day for athletes. In Davenport will take place the Hydrolyze Ultra IFBB Iowa Pro 212 & Pro Bikini Championship along with the NPC Battle of Champions that is promoted by Jack Titone and IFBB Figure Olympia Pro Ann Titone. 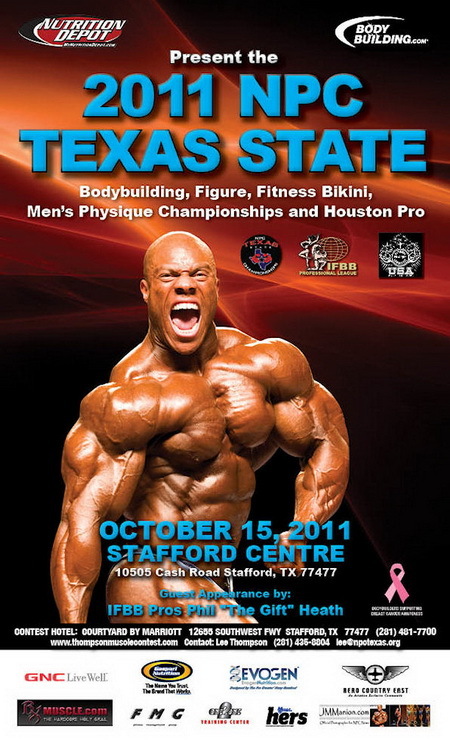 The hostess is the River City Convention … Read moreTHE IFBB COMES TO IOWA!